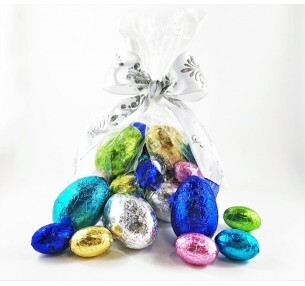 Pink Lady's Milk Chocolate Ribbon Eggs are made from superfine milk chocolate. 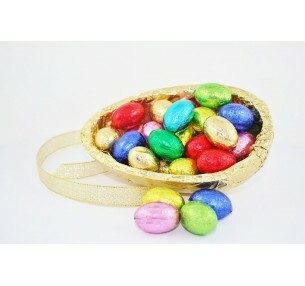 Wrapped in an assortment of foil colours and finished with an elegant bow, they make the classic gift on Easter morning. The Milk Chocolate Egg Gift Bag will be big hit this Easter. The bag is filled with a mix of ten bri.. 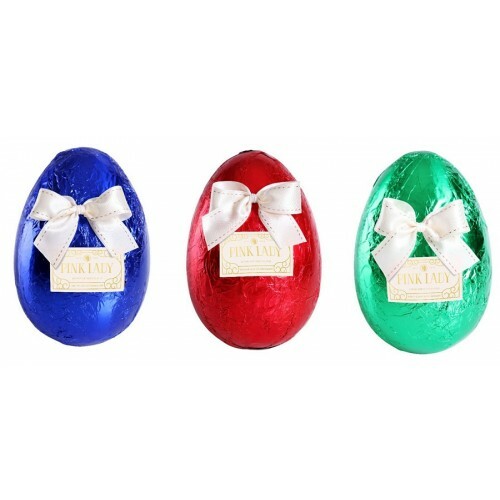 The Milk Chocolate Half Egg is a real crowd pleaser. A thick half egg shell is filled with.. Pink Lady's Dark Chocolate Ribbon Eggs are made from superfine dark chocolate. Wrapped..